When Jerry Terrence visited Grauman’s Chinese Theater in 1964, the marquee caught his eye, setting him on a path to an enduring legacy of fashion entrepreneurship. The film was The Carpetbaggers, starring George Peppard, Alan Ladd and Carroll Baker, but it wasn’t its star-studded cast or engaging plotline that changed Terrence’s life. It was the title that gave Terrence the idea of taking it literally by creating bags made of actual carpeting. Terrence, who had no knowledge of the fashion industry, contracted the sturdy hardware portion of the purses to a friend who was in the tool-and-die industry. The purses’ fabric—carpeting—was a material with which he was very familiar. 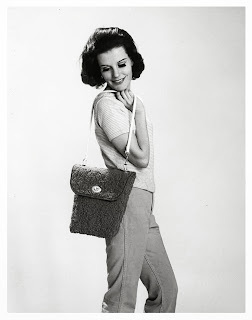 Using his expertise, he had mills custom-create popular 1960s colors to match the preference of the mature women that were the main demographic for these bags at that time. 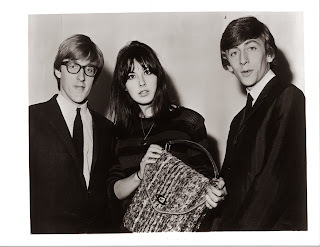 Thus began the line of bold, unique, well-constructed purses bearing The Original Jerry Terrence Carpet Bag label, which women enthusiastically bought for a retail price of about $8.99 each. “We did a lot of innovative things in New York and across the country to get the attention of store buyers,” said Terrence. In 1965, Terrence’s company threw a press party for The Original Jerry Terrence Carpet Bag. He hired a woman to act as a hostess for the party, paying her $100. That hostess was an up-and-coming Joan Rivers. 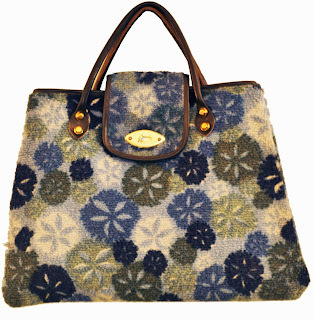 The carpet bags were so enormously popular that the factory in Southgate, California was operating 24 hours a day, with three crews of 12-15 employees working three shifts. Nearly one million Jerry Terrence bags were sold in the US alone during the four years the company was in operation. 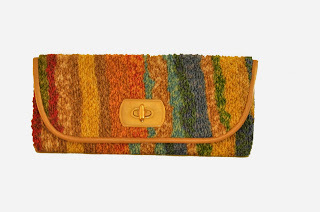 Today, these 1960s purses are a desirable collectible among fashionistas and vintage purse aficionados, with the demographic now a youthful 18-30 years of age. But those who love these unique bags no longer have to scour online auctions and vintage websites to find one, because The Original Jerry Terrence Carpet Bag was relaunched and it’s better and bolder than ever. While the product is still made of carpeting, its construction has changed somewhat. Terrence is now offering crossbodies, clutches, A-frames, iPad cases and briefcases, all with carpets dyed in modern hues such as animal prints, camouflage and plaid. In addition, the company has received licensing from the Bettie Page estate to use the quintessential pinup’s name in a special line of handbags. Terrence is as enthusiastic about his products as he was nearly five decades ago, and is excited about the company’s new direction and staff of industry professionals.